Download this guide for videos and demonstrations to help grow your business. 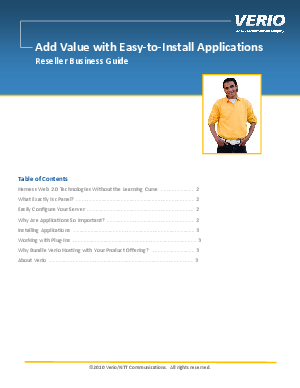 Get tips for adding value for customers with easy-to-install applications that provide the functionality they are looking for, without the headaches of setup or investment on your end. Discover how a cPanel VPS hosting solution can solve nearly every business challenge with point and click simplicity and make it easy for you to become the one-stop shop for all of your customers’ online needs.